Since I have so many Buce in a very tiny hardscape will the plant work it's way in to my substrate? I heard stories of Buce being able to be planted in the substrate with of course their rhizomes exposed. Will it retreat into doing that considering that the rock is already so crowded? Is it ok to have so much in such a small hardscape? Is it something to be concerned of? Or will it just thrive and grow like its nothing? Does mixing 2 types of Buce in a small hardscape discouraged? Is it something like Crypts where it hybridize? 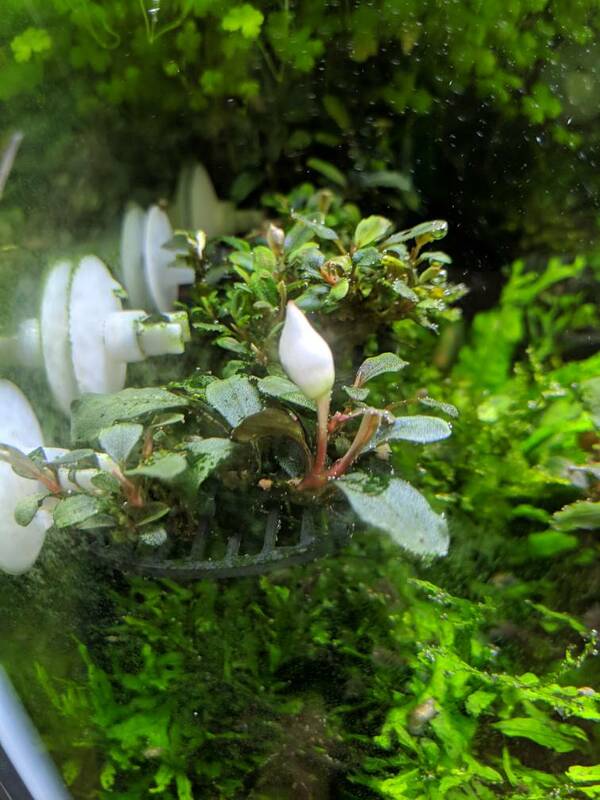 Bucephalandra is known to flower overtime, does the flower survive underwater though? I may have forgotten more questions I was curious for. I really hope you guys would shed some info regarding the topic. It will do whatever it can to get the best nutrients with the least amount of effort. Sometimes this is branching off the lava rock if too crowded, and sometimes this is putting out more dense leaves. It will eventually branch off and grow roots down into the substrate, and that is totally fine for it. Should be just fine. I've kept Buce on lava rock that completely engulfed the rock, and it grew just fine. To keep shape and encourage new leaf growth, I clip branches that are extending off the rock and are sufficient enough to start a new rock with.